The best known contact management solution used by millions and praised by experts around the world. Organizes all of your customer information in one place to give you instant access to every detail of every relationship. Get more done with streamlined configuration and access options, including automated silent install for larger deployments, the ability to configure remote databases for Act! Premium for Web, and enhancements to Global Preferences – all designed to help your efficiency. 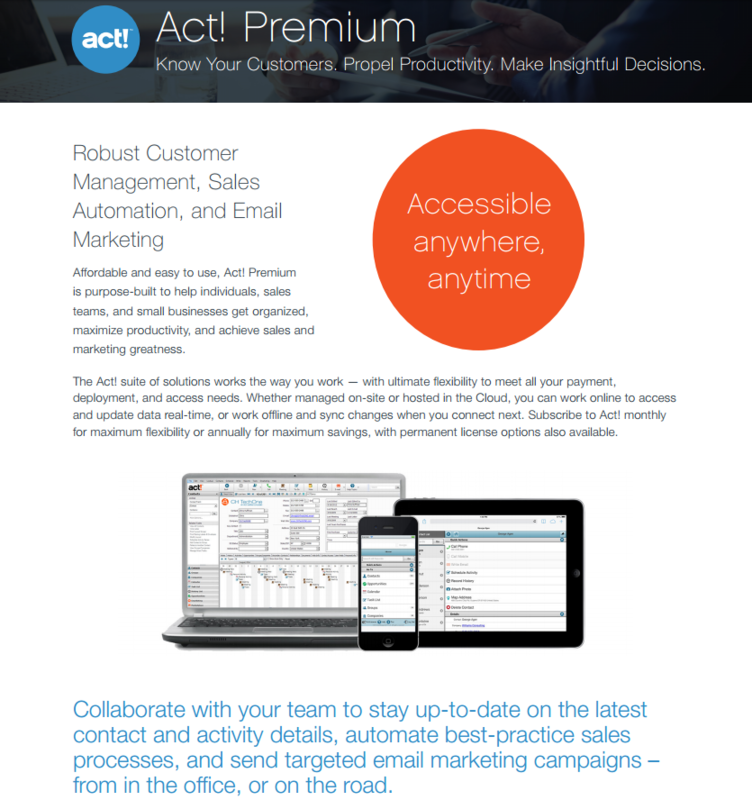 Discover the new, modern look of Act!, and easily access resources, tools, and a variety of apps that help you get more out of your solution.